Yuki and I stopped in at the Kanagi Riding park to visit the Motorcycle Shrine, as I t’s always nice to start the riding season by paying homage to the motorcycle gods. 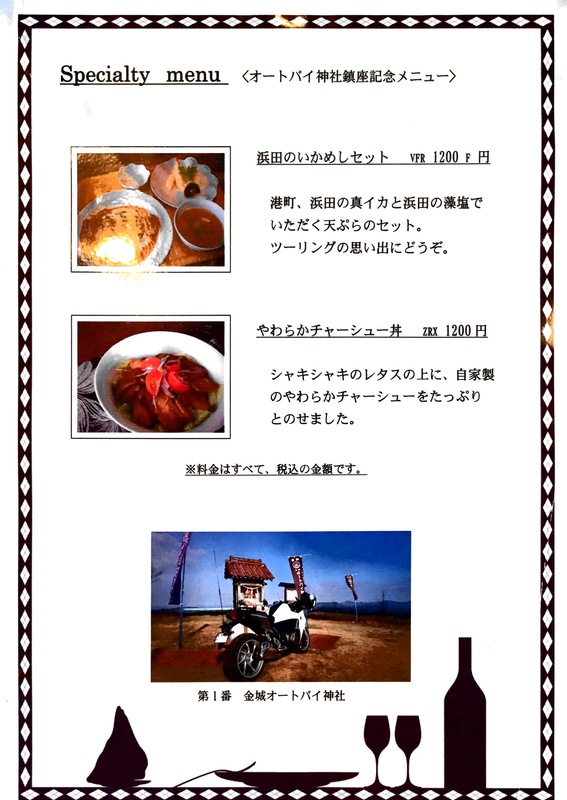 We dropped in at the restaurant for lunch and were rather amused to see the ‘Motorcycle Menu’. I had the ZRX 1200. It wasn’t bad.